Jean Pisani-Ferry has developed French President Emmanuel Macron’s economic programme and is one of his closest economic policy advisers. 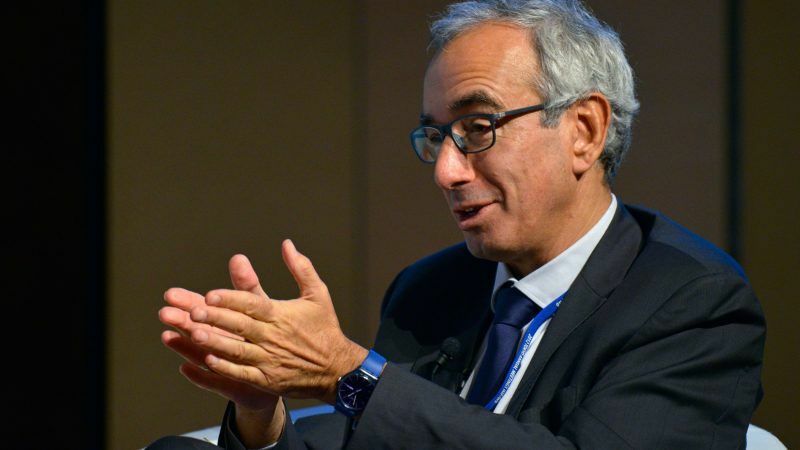 Germany and France need a common position to reform the Eurozone, he says and calls for action in an interview with EURACTIV’s media partner WirtschaftsWoche. Mr Pisani-Ferry, did you open a bottle of champagne after you read the draft of the German coalition agreement between CDU/CSU and SPD? I have to disappoint you, the times are too serious. However, looking at the current situation in Germany, I would add that if the Grand Coalition in Germany is going to govern soon, the window of opportunity for reforms in Europe will finally open. It will not be easy, though. Germany and France still have very divergent views on what has to happen in the EU and the eurozone. The good intentions are there. But intentions are not yet consensus. When will this window of opportunity close again? In the fall, at the latest. It is also then that the election campaign for the European elections in 2019 slowly begins. Let us assume that there is an effective German government in place in mid-March and the elections in Italy are over then too, there are only a few months left then. What has to be achieved in this short time? To put it simply: the German and the French position have to be brought together in such a way that makes sense. The French are convinced that the eurozone needs political supervision in order to make it more resilient against crises. The German side, on the other hand, insists out of good old tradition on rules and budgetary discipline. Both are right. What can a compromise look like? We need to listen to one another and aim for solutions, which are both politically balanced and economically wise. Take the banking union, for example, the vicious circle between lending banks and indebted states, which weaken each other in the event of a crisis, must be broken once and for all. Here, the French have a point. At the same time, I agree with the German position that there should be no common deposit guarantee as long as national banks buy government bonds of their countries on a large scale. These two Gordian knots have to be cut simultaneously. You belong to the authors of the Franco-German economic call, who tried to outline solutions. Do you have no trust in politics? I do, but we only fear that a classic political compromise would not be ambitious enough. We need more. Germany and France both have to climb over their red lines. France opposes the disciplinary effect of the financial markets, meaning higher interest rates for government bonds, when a country maladministers. And Germany does not want to lower its sides when it comes to the stability pact – and above all does not want to allow transfer payments to other countries. We need more solidarity, which means: transfers – but only for a limited time. Simultaneously, there has to be more discipline. To clear up a prejudice at this occasion: The French do not want a permanent redistribution in Europe either. Exactly that is a widespread perception in Germany: France wants to redirect German money permanently to the south of Europe. That is nonsense! The French are also a net contributor and not a recipient in the EU. The money that other countries get is also ours. As for French domestic policy: we certainly do not want to solve our problems with German euros. 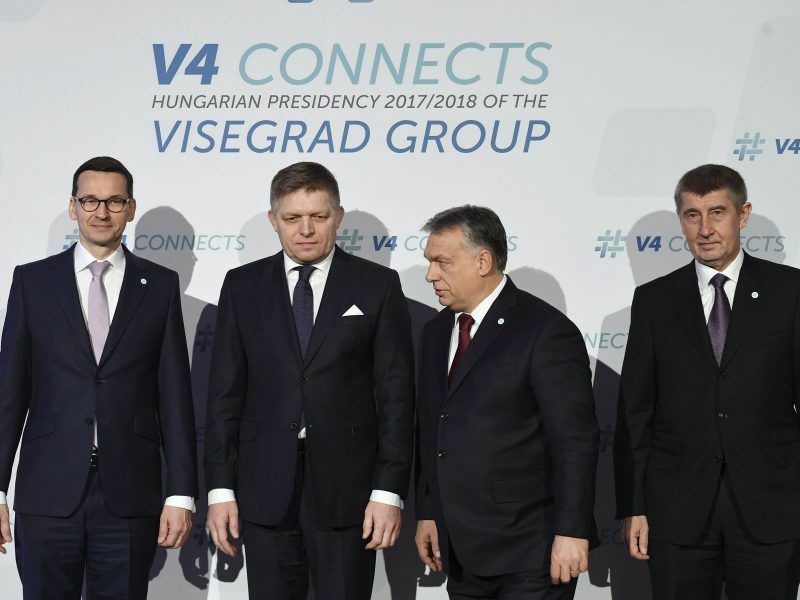 Three of the member states of the Visegrad group are going to take part in Macron’s citizens’ consultations project. Hungary has yet to make its decision known. EURACTIV.fr reports. Then please clarify: What does Emmanuel Macron want when he speaks about reforming the eurozone? What I already said: a banking union. Moreover, means to trigger growth and investment and provide stability. We are talking here about an instrument to help crisis-ridden countries more quickly. You speak about precise instruments and means – but that mean billions of euros, right? When it comes to investments, not necessarily. Private engagement can be triggered through joint regulation. As far as stabilisation in case of a crisis is concerned, we proposed a fund to the economists, which would support battered countries. What amount are we talking about? For such a crisis fund, a volume of 0.5% of the eurozon’es economic output would be a sensible scale. Please note, not yearly but rather as a war chest. So we speak about 50 billion euros? Yes, this would fit. Then you would have enough funds, for example, to help Ireland, should it suffer from a hard Brexit. But before any horror scenarios arise, again: we would need the sum onetime to make assistance transfers possible – certainly not every year. President Macron, on the other hand, has more ambitious plans when talking about a budget for the Eurozone. That would make sense economically, but – as the Germans are absolutely right – would only work with clear rules and a parliamentary control. 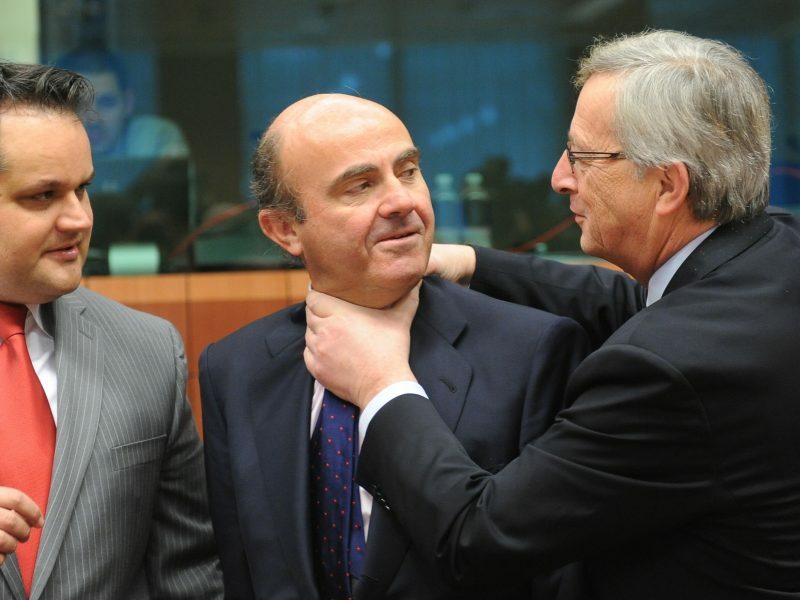 How would the European Monetary Fund (EMF), as successor to the ESM rescue package, fit into that picture? … and what do you want? In the future, the EMF would have to be able to provide financial assistance independently of the IMF. And indeed, it should be subject to democratic control. Moreover, the EMF could play an important role as reserve buffer in the resolution of banks. Which role could an EU finance minister play here? In any case, a different one than today’s Eurogroup chief. He would have more external representation duties and more competences for the stability of the Eurozone on the inside. Can Germany actually learn something from France when it comes to reforms? We do not teach anyone, especially because France is still in the middle of a catch-up process. But the truth is that Agenda 2010 was around 15 years ago. So, there is no reason to sit back in either Paris or Berlin. The digital revolution will pose huge challenges to all developed countries with well-developed social systems. 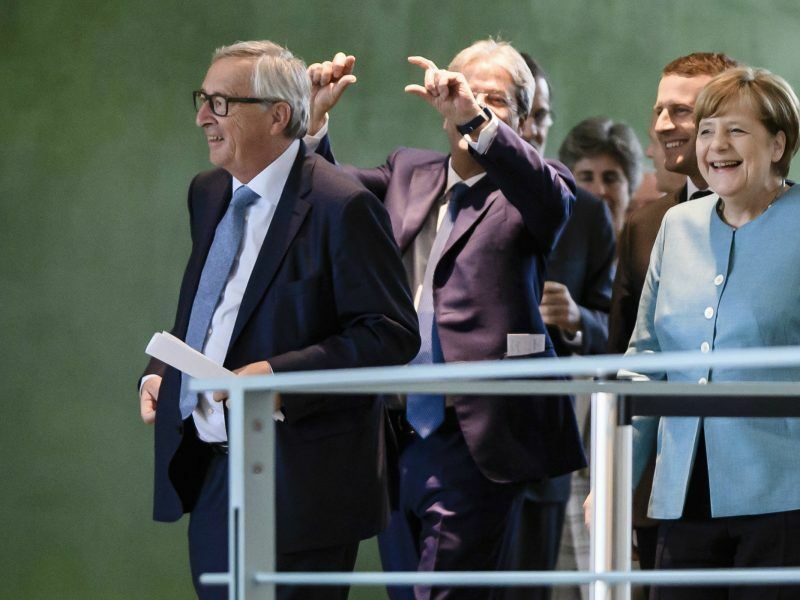 Let us take a look into the future then: One year from now, will there have been that many advances in the eurozone that it will be time for a bottle of champagne? You can always drink champagne. But seriously, if we want to raise our glass for Europe, Germany and France will have to take big steps forward.